You can set a date and time for when a card is "due". A badge with the due date will appear on the card. A light grey badge means the card is due more than 24 hours in the future, yellow badge means it's within 24 hours of being due, a red badge means the card is due and it will remain red for 24 hours, a light pink badge means it's past due, and a green badge means it's complete. You can add a due date via the card back under "Add" in the card's sidebar. You can also add dates via the card menu on the front of the card or by hovering your mouse over a card and using the "d" shortcut, or in the quick edit menu by clicking the pencil icon when hovering your mouse over a card. 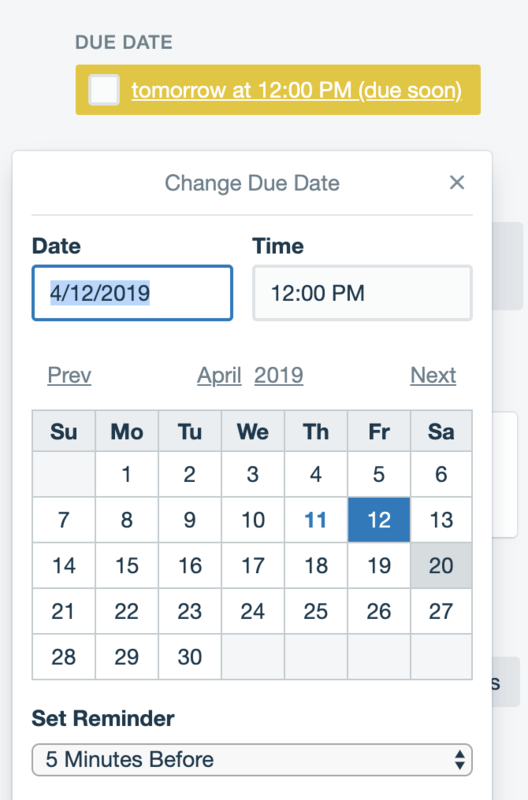 We want to make sure you get the notification for the date you’re setting, and adding a due date will automatically watch the card! No need? Tap ‘s’ to unwatch the card. Add due dates to cards to complete your tasks on time. You can edit a due date by clicking the due date on the card back and selecting a new date or time. On the card back, you can click the checkbox next to the due date to mark it as complete, and turn the due date green. This will also add a strikethrough on the card on the Calendar View. Or mark it as complete! 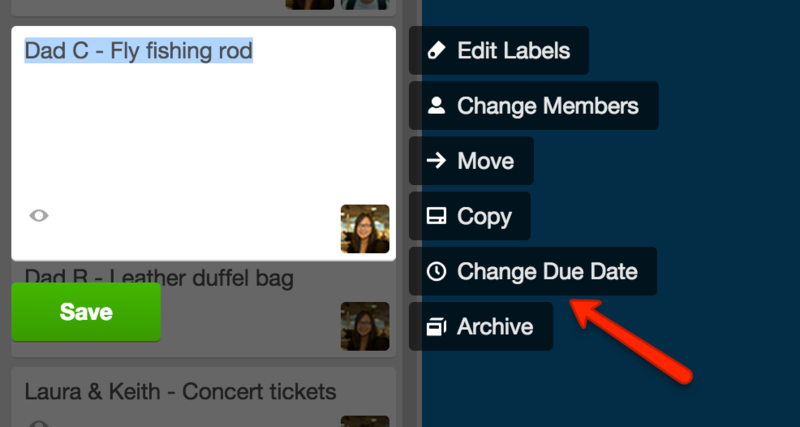 Remove a due date by clicking the due date on the card back and selecting "Remove" from the lower right corner. When you are watching a card, you will receive a notification 24 hours before the card is due by default. You can change the reminder time inside the date picker. You can also change or remove a due date or mark a due date as complete from within the notifications panel. Click on the ellipsis icon on the left to see additional card actions. You can use "d" to open the date picker and add, edit, or remove a date and time via the board view. You can use "s" to quickly watch or unwatch a card. 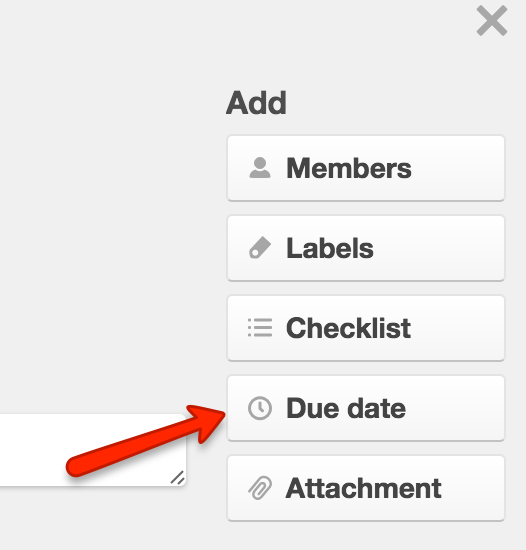 Cards are automatically watched when assigned a due date.